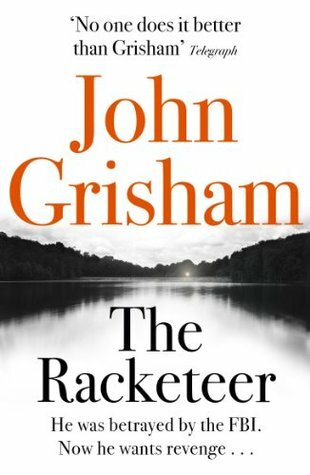 2014 Reading: #12 John Grisham’s The Racketeer – It's Time to Read! The next book for me to read in 2014 was John Grisham’s The Racketeer. I have only read a few Grisham novels but each time I do enjoy them. The first Grisham I read was The Rainmaker, one family holiday many years ago! I have a Grisham novel, Playing for Pizza, on my 2014 Mount TBR pile. I will at some point this year get to that! My husband read The Racketeer first. He isn’t a massive reader but he read this book in one weekend and then recommended it to me. I really enjoyed this book. The book follows Malcolm Bannister, a lawyer in jail after the FBI sets him up, as he plans and executes revenge against the FBI. There is of course a twist but I am not very good at guessing them and so didn’t try. I read the majority of this book in one evening and really enjoyed it. There are mixed reviews on Goodreads, mainly from avid Grisham fans, but I haven’t read many of his books so I don’t have much to compare it too. The book kept my interest and I found I wanted to know what was going to happen. I’m happy to rate this book 4 out of 5 as it was a good read.